There really is no place quite like home. 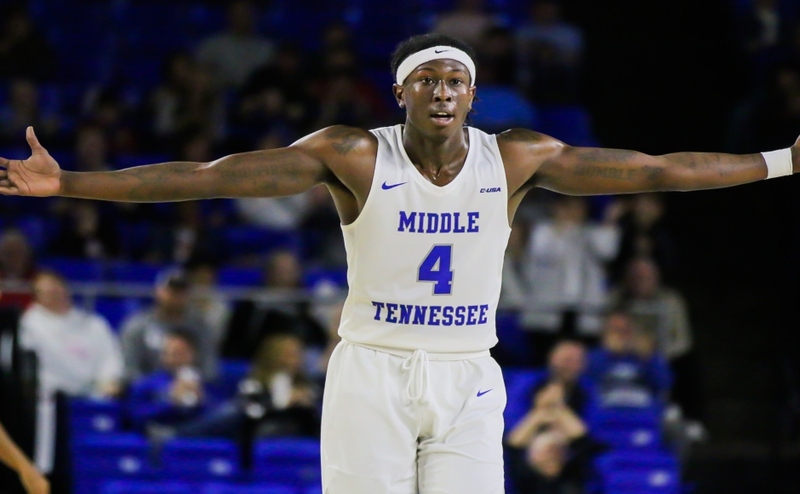 For Middle Tennessee freshman guard Donovan Sims, that age-old cliche rings true. 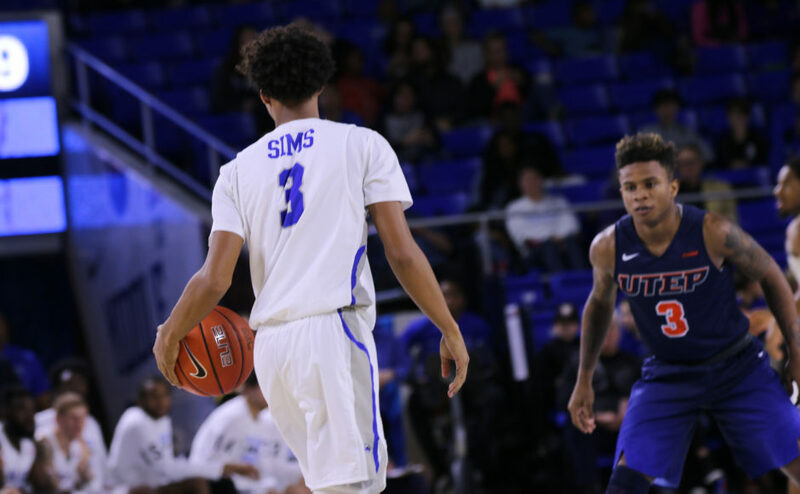 While playing in a minimal role, Sims has played crucial minutes in some of the Blue Raiders’ biggest games. Before stepping foot on campus, Sims made a name for himself as the starting point guard for one of the best high school programs in the state of Tennessee: Blackman High School. While there, Sims became a well-rounded player who could smoothly orchestrate an offense and aggressively grab rebounds. With that being said, the most important trait he was known for was his ability to win basketball games. During his last two seasons at Blackman, Sims lead the Blaze to a 59-6 overall record, two district tournament and regular season titles and an appearance in the state semi-finals in 2015-2016. During his senior year, Sims averaged 10 points, five assists and five rebounds per game, earning him a spot on the All-District and All-Region Team. When the time came to choose a college, the decision was easy for him. Sims’ resume at Blackman got the attention of many people in the Rutherford County area, and his popularity grew along with his legacy. Even fellow Middle Tennessee athletes are impressed by his talent. 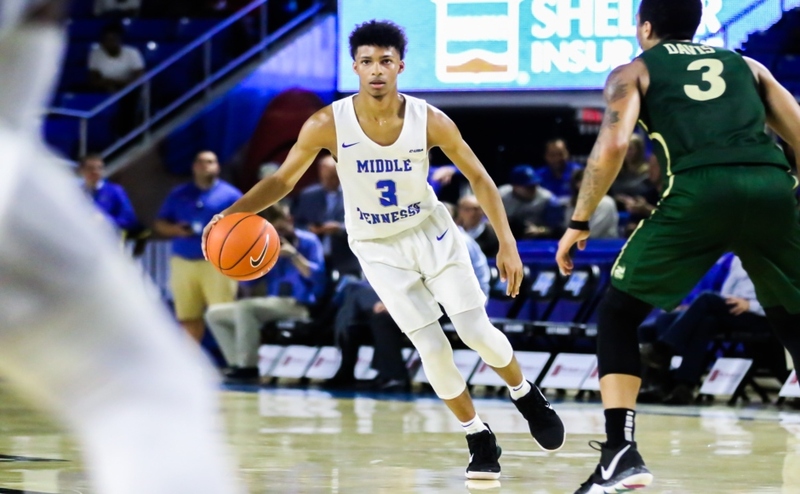 Stockstill wasn’t the only prominent figure at Middle to notice Sims’ skills, as Blue Raider head coach Kermit Davis always kept tabs on him. Before the season started, Sims was already stuck with a difficult decision: to sit out or play. Sims only plays an average of 5.7 minutes per game, but has found ways to make good offensive contributions when he plays. Specifically, he excels when it comes to orchestrating the offense as a true point guard. In only six minutes of game action against Vanderbilt on Dec.6, Sims filled in some key minutes while starting point guard Tyrik Dixon was nursing a knee injury. In that game, Sims recorded two rebounds and an assist without committing a single turnover. He scored a career-high five points and two assists in 17 minutes against UTEP on Jan. 27. 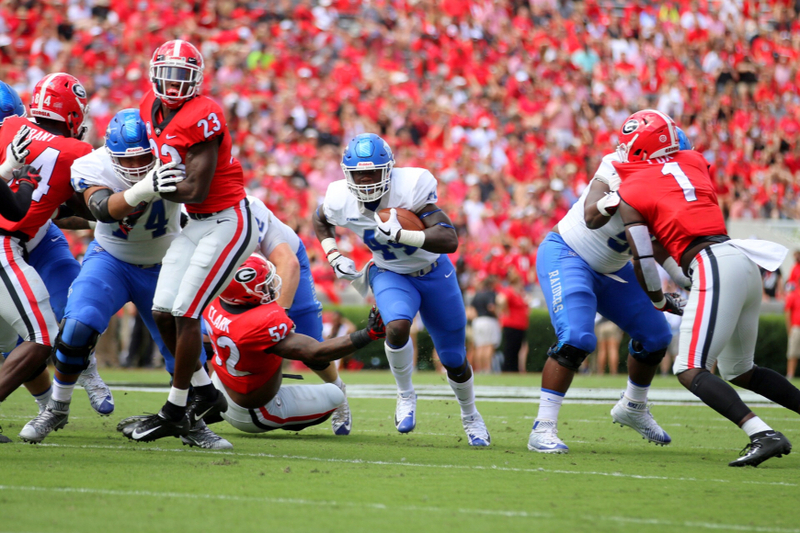 Sims has made strides all season long in practices, and they have seemingly paid off. Sims’ teammates have begun to take note of his improvements, and are starting to see it more in practices. Sims taken the experience in his first season and has used it to grow his confidence as a player. One thing that Sims has the luxury of is the chance to play on a team that is loaded with experienced players and senior leadership. 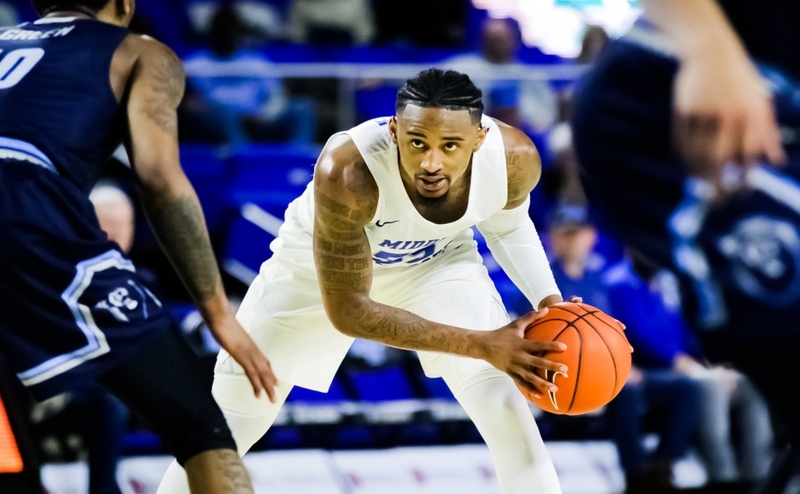 Players like Nick King, Ed Simpson, Giddy Potts and Brandon Walters have all played at least three full seasons of college basketball, and have built a winning tradition at MTSU. 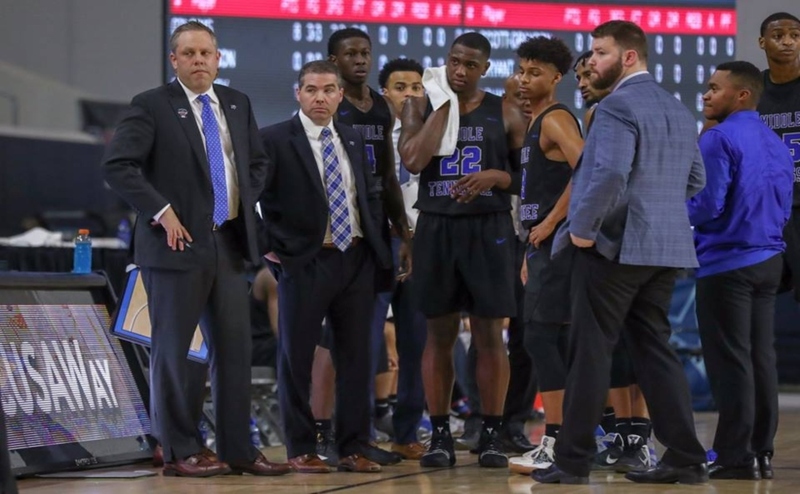 King has been the biggest influence in mentoring the young freshman point guard, as he has shown him how to handle the grind of the long college basketball season. While only playing a limited role this season, Sims has been able to build upon the valuable experience of playing on a contending team, and practice every day with a group of players who know how to win at this level. Lastly, all of the factors that have contributed to his growth as a player only make playing college basketball in his hometown and in front of his friends and family that much sweeter.